Comic books gave the word artistry a new definition. It enabled a new generation of readers to escape into a fantasy world of supernatural ability while relating to the character’s trials and tribulations. Through the use of illustrated worlds and their fictional inhabitants, cultural references, symbolic storylines and powerful role models were created to open up the minds and hearts of youth everywhere. There are many reasons to collect comic books, especially if you’re able to find the vintage issues. Comic books aren’t just about superheroes and criminal masterminds. Graphic novels are a great option to explore and have spawned some of the most mainstream films in the last decade, such as Sin City, V for Vendetta, and 300. Many young adult films have also been inspired by YA comic series like Ghost World, Scott Pilgrim, and Addams Family Values. See, you’re already a comic fan and you didn’t even know it! Comic books chronicle the reality of life’s most frustrating and difficult circumstances. It just so happens that these struggles occur in an imaginative universe that offers the readers more metaphorical context than they would expect. Black Panther became the first black superhero of his time which opposed segregation and injustice towards racial minorities. ShadowHawk is one of the few superheroes who is revealed as HIV-Positive and dies at the hand of the virus. Iron Man battles alcoholism and enlists the help of Pepper Pots to help him overcome it. Last, not certainly not least, The Huntress deal with her lifelong internal conflict of being molested by a mobster as a child. Comic books confront troublesome moments in reality that, unfortunately, humans face on a daily basis. A comic reader can relate to these characters and their resilience, as they endure their own pain and find inspiration on how to rise from the ashes. 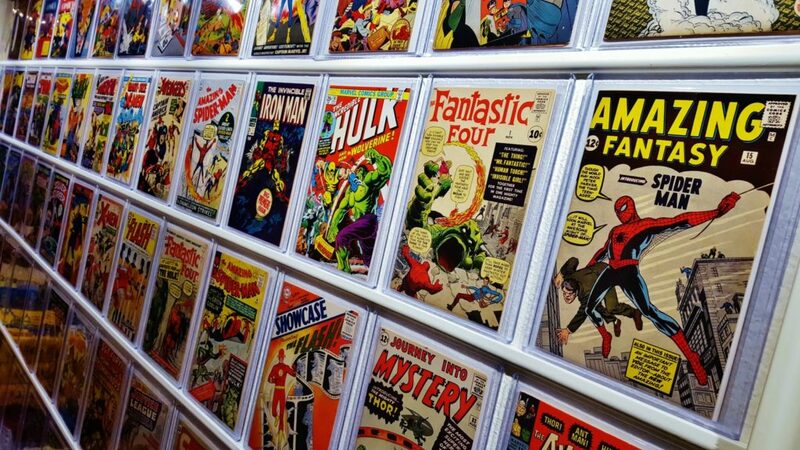 Becoming a comic book collector will open your mind and increase your cognitive thought process. The more books you collect, read, and treasure for the future, the more you’ll comprehend and exercise the brain’s multiple modalities. This means you’ll be using developing your rate of literacy on 3 levels: textual, visual, and spatial. The amount of complexing your mind processes when reading a comic is far more advanced than watching television, and some even say, more beneficial than reading a simple book. Reading a consistent storyline, that includes intricate details and emotional investment, improves brain function. How is that not an excellent reason to indulge in a comic book fetish? Many comic book characters have proven to be excellent role models and personal guides since their birth in 30’s. 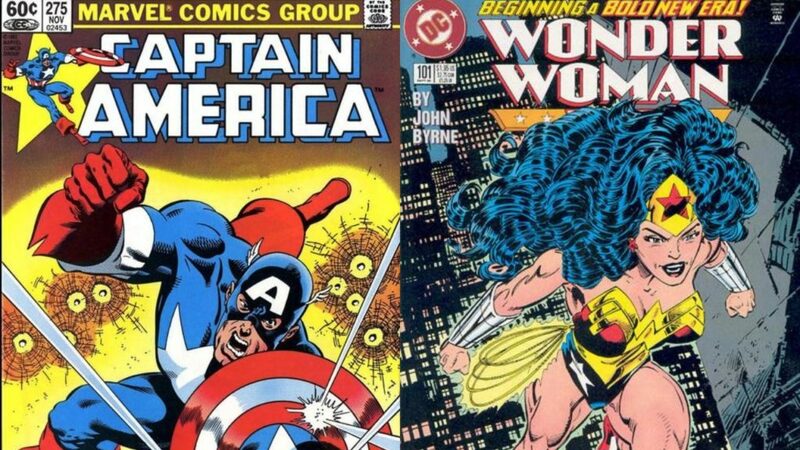 Wonder Woman, for example, was created as the epitome of the rising feminist culture. Diana Prince is based primarily based on Margaret Sanger, an advocate of the birth control movement in the early 1900’s. William Marston meant for Wonder Woman to serve as a social construct or psychological propaganda for the future of the modern woman. Another great example of a positive role model is Captain America, also known as Steve Rogers. Cap’ wasn’t just a model citizen – he was the prime representation of what it meant to be a masculine gentleman during an era of change. His moral compass is constantly aimed in the right direction and his soul purpose is to defend the weak and stand up for both civil, and societal justice. Despite these characters’ displays of strength and fairness, they also have archetypes that any comic reader would look up to… and storylines they wouldn’t be able to stop reading. Now, we find ourselves at the key component of long-term comic book collecting: profit. The more vintage comic books you own and keep them in mint condition, the more likely you are to make a big chunk of change off of them in the future. Of course, this only if you choose to do so, but if you plan on purchasing a small name comic now, remember that in 20-30 years it could make or break the difference on your mortgage or your theoretical child’s college tuition. If you want to get in on the comic collecting game to increase your bank account in the future, while enjoying the out of control stories in the present, you need to know what to look for. Comic books that debut a new character will always be with a pretty penny in the future, especially because of the movie franchise explosion Hollywood has currently adapted. Second of all, notice the age of your comic book issues. If you’re holding a comic book from the Platinum or Golden Age, that’s in mint condition and has a seminal character in the issue, they could be worth anywhere from thousands to a million dollars. For example, Action Comics #1 from 1938 is the most valuable comic on the market, priced at $3.2 million. This issue features the first appearance of Lois Lane and Superman. This is a rare find, but you get where we’re going with this. Historical context can also add to the value of a comic you purchased; this adds to the nostalgia aspect of the issue, and people love nostalgia. Comic books to avoid if you wish to be an avid collector, who may want to turn a profit in the future, are classic reprints, damaged issues, gimmick and variant covers, as well as issues that have been pre-bagged before delivery. These aren’t worth too much and probably never will be. Comic book collecting is a much safer investment than playing the stock market, and you’ll probably get luckier selling a comic then you do with the lottery. If you’re ready to get out there and start collecting your favorite graphic novels, young adults, and superhero comics, this is what you need to do and where you need to go. First and foremost, decide what character you want to start following and pick a story arc that interests you. Grab the first issue of that story arc and start reading! So, where do you find these comics that you’re so excited to sink your teeth into? You have a few options. The worldwide comic shop locator is the easiest tool to use when looking for a store location. You also have the option of ordering on Ebay and Amazon, but we recommend holding off on online purchases until you become more familiar with the value of a comic book and what they’re really worth. When you head into a local comic book store, ask the clerk to create a “pull list.” The clerk will help you form a list of comics you want to purchase over a period of time and it’ll help you stay up to date on your reading progress. If possible, attend a comic convention or two! You’ll get the opportunity to purchase a lot of new comic books, become introduced to characters you’ve never heard of, and meet other collectors of all experience levels. We know it can seem overwhelming at first, because of all the story and brand options you have to explore, but start small and with the familiar; you’ll soon work your way up the comic book chain without even realizing it!